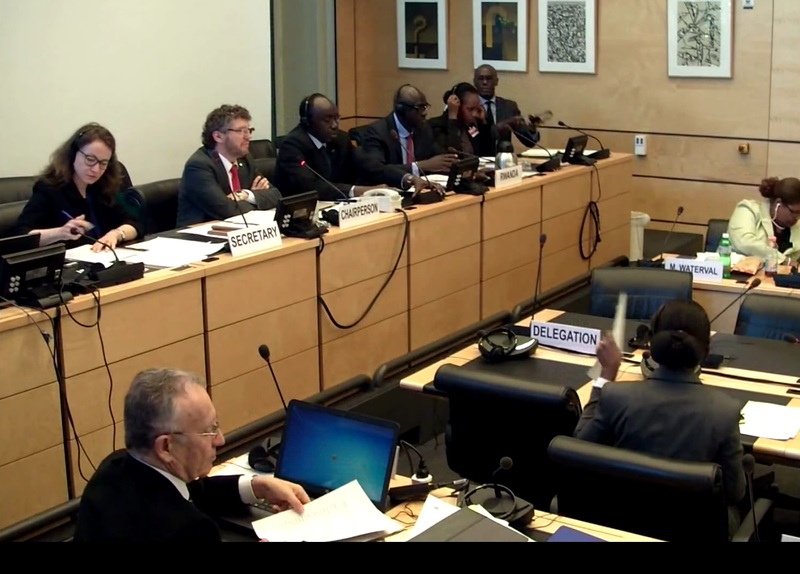 The Human Rights Committee met in Geneva from March 7-31, 2016. This summary will focus on some of the highlights and notable events of the session. For a more comprehensive review please check the Committee website or the website of the NGO Centre for Civil and Political Rights which does a great job of covering this Committee from session to session. This year marks the 50th anniversary of the adoption of the two International Covenants -- the Covenant on Civil and Political Rights that is administered by this Committee and the Covenant on Economic, Social and Cultural Rights, which is administered by the Committee of the same name, the Committee on Economic, Social and Cultural Rights. Events are planned throughout the calendar year in celebration of the 50th anniversary, including a joint meeting of the two Committees in June. There is also a microsite launched to track these 50th anniversary events. 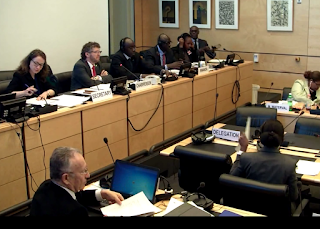 The Human Rights Committee meets three times per year, in March, July and October. There are 18 members, half of whom are elected/re-elected every even numbered year. The next election is scheduled for June 23, 2016 at UN Headquarters in New York. This session the Committee reviewed seven country reports, issued concluding recommendations for each, issued an estimated 29 individual case decisions, continued work on a draft general comment on the right to life, and adopted its annual report covering the prior 3 sessions. The backlog of individual cases and the lateness of state reports continue to be issues of concern. The Committee also continued its follow up procedures of looking into whether states are fully implementing its prior recommendations. Improvements in its procedures were also discussed, including a pilot program to speed up consideration of individual complaints, and extending its so-called grading system on implementation to those states who fail to submit any information at all in response to the Committee's requests. This is one of the most ratified human rights treaties in the system, currently with 168 state parties. Its Optional Protocol on an individual complaint mechanism is now ratified by 115 states. The Second Optional Protocol, which abolishes the death penalty, has been ratified by 81 states. Namibia – 9 pages, 47 paragraphs, 24 of which contain recommendations. Counting sub-items there are a total of 43 recommendations. Next report is due 31 March 2020 (4 years). Follow up response in one year to paragraphs 10 (non discrimination), 22 (prohibition of torture and ill-treatment), and 24 (torture, violence and sexual violence against women and right to life). Slovenia -- 7 pages, 35 paragraphs, 17 of which contain recommendations. Counting sub-items there are a total of 32 recommendations. Next report is due 31 March 2021 (5 years). Follow up response in one year to paragraphs 8 (racism and xenophobia, including hate speech), 16 (asylum-seekers, migrants and refugees) and 20 (vulnerable persons within the migration flow). South Africa -- 9 pages, 50 paragraphs, 24 of which contain recommendations. Counting sub-items there are a total of 31 recommendations. Next report is due 31 March 2020 (4 years). Follow up response in one year to paragraphs 13 (Truth & Reconciliation Commission), 15 (racism and xenophobia) and 31 (prison conditions). All of these state reports were submitted late, after the specified deadline. The delay ranged from one month, to 14 years, with most being more than one year late. In addition, 3 of the 7 were over the page limits specified for such reports. It was good to see the Committee focussing on the migration crisis in the two state reports heard this session from countries in Europe. The concluding recommendations for both the Slovenia report and the Sweden report, called on the government to establish a uniform and formal mechanism to identify vulnerable persons within the migration flow, including unaccompanied minors and victims of sexual and gender-based violence, to use detention as a last resort, and to ensure sufficient guarantees and assistance to migrants and asylum seekers. In each case the recommendations have also been flagged for followup, meaning that each country is to report back to the Committee within one year on its implementation of the indicated recommendations. It was disappointing not to see any mention in the Committee's proceedings on the terrorist attacks in both France and Belgium, and the handling of the human rights aspects of the states of emergencies called in each case. The France attacks (November 13, 2015) had occurred shortly after the last session of the Committee and the Belgium attacks (March 22, 2016) occurred while the Committee was in this session. Article 4 of the Convention requires states to formally notify the UN if a state of emergency is declared in which certain human rights protections may be restricted. France submitted a notice on November 25, 2015 of a 3 month state of emergency, and extended it for an additional 3 months in February 2016. Five UN special rapporteurs joined in a statement in January 2016 expressing concern about human rights consequences of the France actions. Several human rights groups also criticized France's extension of the state of emergency for an additional 3 month period. Belgium, despite multiple news reports that it had declared official states of emergency immediately after the France attacks and again in March during the Brussels attacks, has made no formal notice to the UN under article 4 of the Covenant, despite it appearing to be legally required. It is noted that Belgium will be up for review at the Committee's next session, in order to prepare a list of issues prior to reporting. It is hoped that these issues are raised in that list of questions. One country, Estonia, had accepted the alternative simplified reporting procedure, which meant that the Committee adopted a list of issues "prior to reporting" (LOIPR) for that country. The Estonian government will now prepare its report, using the LOIPR as the framework for the report. At its last session the Committee remarked that 32 countries so far have accepted the new LOIPR procedure. Six such reports have been reviewed so far, two of which were heard this session (New Zealand and Sweden). The Committee is continuing to discuss ways to improve the LOIPR procedure, including whether additional time should be given to states who adopt this procedure. In its July 2015 session a proposal was made to add 12 months to the original time line in order to create a more balanced treatment between states that elect the simplified procedure and states that elect the traditional procedure. It is also apparent from the NGO reports that are posted, that the LOIPR procedure is getting less NGO participation than the standard reporting procedure. Here is a table of how many reports from NGOs and National Human Rights Institutions (NHRI) were received for each state report reviewed at this session. Clearly the LOI and LOIPR procedures do not receive as much NGO attention as do the finished reports, but it also seems clear that NGOs are submitting information more often when the report is subject to the standard List of Issues (LOI) mechanism, than the LOIPR mechanism. Admittedly this is a small sample size, the pattern is typical of other sessions as well. It is hoped that the Committee finds ways to make the LOIPR scheduling more transparent, and that NGOs orient their treaty body work to include these LOIPR procedures more frequently. No case decisions have yet been issued from this session, but remarks in the opening day press release indicated at least 29 decisions would be before the Committee during the session. These cases usually come out a month or two after the close of each session. The backlog of individual complaints waiting to be decided by the Committee is growing steadily. The annotated agenda of each session reports on the current number of pending complaints. These have climbed from 486 in April/2015 (Q2), 506 in August 2015 (Q3) and 525 in December 2015 (Q4). This is happening despite the Committee issuing a high number of decisions in 2015 (102 decisions). 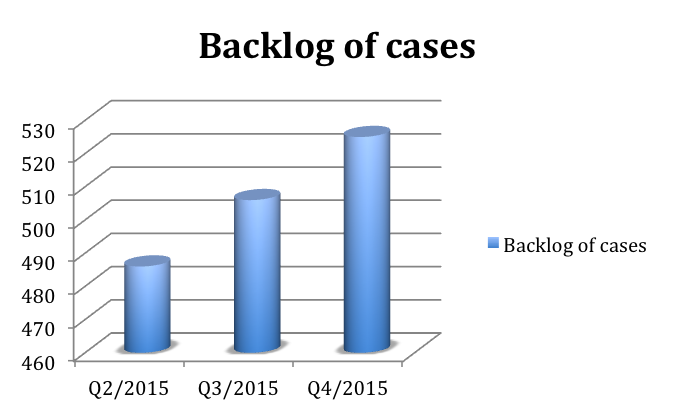 Most complaints are not decided by the Committee for 4-6 years after filing because of this backlog. There are several causes, including failure of the parties to submit briefing materials timely, inadequate staff resources, inadequate Committee time, and inefficient processing. The Committee decided at this session to try a pilot procedure for one year, to group cases that have similar legal issues or that do not pose particular or novel legal problems on a faster track. Each session the Committee reviews its prior recommendations and case decisions to determine whether states are following through and implementing the Committee's recommendations. Most of the Committees observe this practice in some manner, but the Human Rights Committee stands out as one of the best so far in creating a transparent, systematic follow up procedure. The following countries were reviewed on individual case decisions where violations had been found and remedies had been recommended by the Committee. In each case states were asked to submit information within 6 months on its implementation of the Committee's recocmmended remedy. Despite the time spent on these implementation matters, the actual track record of implementation remains very weak. I plan on doing an annual update of these figures this summer, but last summer's results indicated that full implementation of the Committee's recommendation only occurs in about 12% of the cases and much of the Committee's time is spent pursuing late responses or non-responses from the states concerned. In approximately 43% of the time the response is submitted late. No response at all is received 25% of the time. At this session the Human Rights Committee discussed the need for some improvements in its follow up procedure -- namely revising some of the page limit requirements and extending its grading system to account for those countries who fail to respond at all to the Committee's follow up requests. As usual the Committee had a busy session and a full workload. Its next session (117th) will be June 27 to July 22, 2016, when it is again scheduled to review 7 state reports, adopt 5 lists of issues for upcoming reports to be reviewed, and adopt 3 lists of issues prior to reporting for states that have accepted the simplified reporting procedure (LOIPR). In addition, it will probably consider 25 to 35 individual case decisions, as is its normal practice.